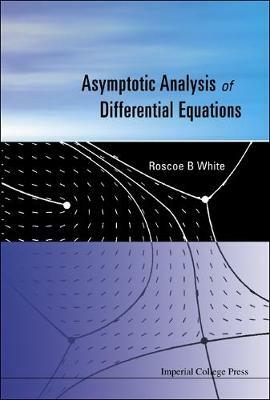 An essential graduate level text on the asymptotic analysis of ordinary differential equations, this book covers all the important methods including dominant balance, the use of divergent asymptotic series, phase integral methods, asymptotic evaluation of integrals, and boundary layer analysis. The construction of integral solutions and the use of analytic continuation are used in conjunction with the asymptotic analysis, to show the interrelatedness of these methods. Some of the functions of classical analysis are used as examples, to provide an introduction to their analytic and asymptotic properties, and to give derivations of some of the important identities satisfied by them. There is no attempt to give a complete presentation of all these functions. The emphasis is on the various techniques of analysis: obtaining asymptotic limits, connecting different asymptotic solutions, and obtaining integral representation.